by David Boswell, at al. Mozilla framework allows developers to create cross-platform applications. The book explains how applications are created with Mozilla and provides step-by-step information about how you can create your own programs using Mozilla's powerful cross-platform development framework. 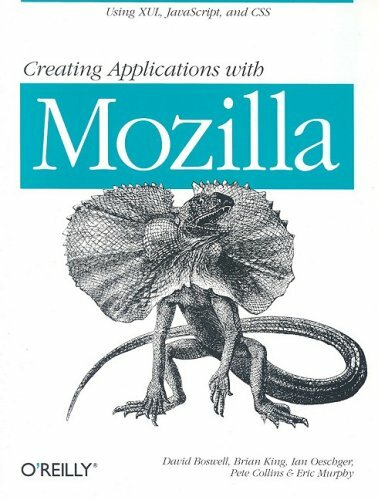 Working through the book, you are introduced to the Mozilla development environment and after installing Mozilla, you quickly learn to create simple applications. Heroku platform offers sophisticated hosting and development services. You'll learn how to use Heroku's Cedar runtime stack, a polyglot platform with native support for several languages and frameworks, including Ruby, Python, Node.js, Java, etc. In this ebook, we provide a compilation of GWT examples that will help you kick-start your own projects. We cover a wide range of topics, from sample applications and interview questions, to Callback functionality and various widgets.